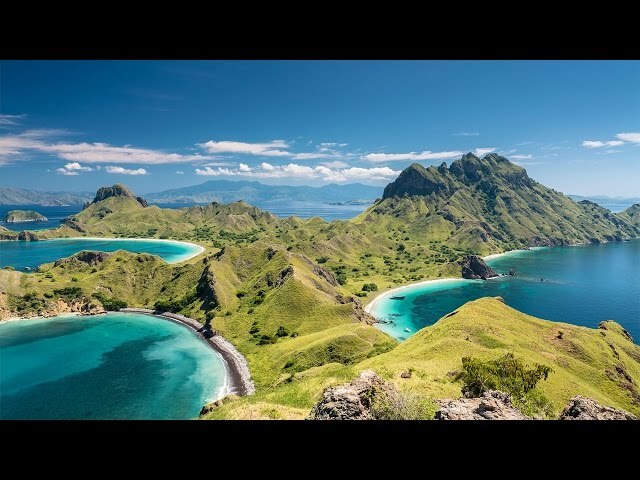 Explore Komodo National Park, a UNESCO World Heritage Site dedicated to protecting it's famous dragons. Explore the incredible beauty of the turquoise waters, emerald hills and pure-white shores of Whitsunday Island. Picturesque Brisbane, famous for it's terraces and raised living spaces, blankets the hills around Moreton Bay. Relax in the on board Nordic spa, an oasis of calm to refresh the mind, body and spirit. Why not treat yourself? Our staterooms all have their own private veranda, a perfect place to unwind after a busy day exploring. Discover cultural splendors and beauty on your journey from Bali to Sydney. Witness colourful traditions on Lombok Island. Explore Komodo National Park. Discover picturesque Thursday Island and much more. Depart 30 November 2018, offer expires 4pm on 10 June. Dine in style as you cruise the shallow Timor sea, a sea long travelled by Indonesia's indigenous people. Take time out to relax in our onboard spa whilst saling the Arafura Sea. The Coral Sea, a paradise for divers, is pure pleasure to cruise and a chance to indulge in the stunning interiors of your Viking ship. Enjoy picturesque shores and dramatic waves as you relax on the sun deck. Enjoy more views of the stunning coast or take a dip in the onboard infinity pool. Relax into the Lombok lifestyle when you visit one of its most casual and leisurely beach communities. Encounter the rare and fearsome Komodo Dragon in its natural habitat during this short trek on Komodo Island. Enjoy a panoramic tour of one of Australia’s most successful and engaging multicultural cities. Explore Thursday Island in the manner that suits you. Enjoy a panoramic tour, explore the botanical gardens and stroll the beaches during an enlightening excursion. Get to know this culturally rich city on Australia’s northeastern coast, North Queensland’s unofficial capital. Indulge in the white sand and turquoise waters of one of the finest beaches in Australia. Take in the major sites of picturesque Brisbane, its cityscape blanketing the hills rising from Moreton Bay. Witness the golden sands, oceanside baths and spectacular vistas along this unmatched coastal beauty. Every part of Viking Spirit whispers contemporary Scandinavian design but classic comfort. A spacious inviting sanctuary with all the comforts of a fine hotel and your own private veranda. Explore in style and luxury with the finest stateroom that ocean cruising has to offer.